Since 2003, Julie Brill CCCE, CLD has mentored hundreds of CAPPA professionals. Today her students work in a variety of settings. Many run their own businesses, some work for hospitals, WIC, and other organizations. While many are active childbirth educators and doulas, others use the skills they learned at their training to enhance their work as midwives, labor nurses, lactation consultants, chiropractors, and administrators. Julie loves to work with nursing students, helping them earn credentials that will enhance their chances of securing a perinatal position upon graduation. Julie’s trainings are appropriate for anyone who wants to learn more about the childbearing year; no medical background is required. I am a homebirth midwife apprentice, certified labor doula, and certified lactation counselor. 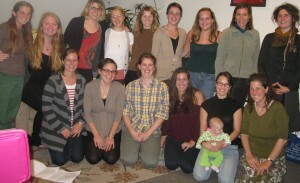 I am the Executive Director for the Vermont Birth Network and a founding member of the Bearing Meaning Doula Collective. Homebirth midwifery is my passion, and I hope to become a Certified Professional Midwife within the next two years. It is clear to me now, that birth professionals of all positions are also educators. Whether I am leading routine prenatal appointments, developing relationship with a doula client, or discussing breastfeeding, aspects of childbirth education weave into discussion. Childbirth education is essential to facilitate client self-empowerment and informed decision-making during the perinatal and postpartum periods. In order to offer clients childbirth education that embodies multiple ways of understanding and knowing, I needed to participate in a formal childbirth education training program. I have observed and organized a number of different training programs through a variety of certification organizations. The CAPPA curriculum is well rounded, balanced, and most importantly promotes gentle and safe birth. Julie Brill is an excellent facilitator. I had the pleasure of not only participating in a CBE training, but I also organized and observed parts of a CAPPA labor doula training she led. I highly recommend CAPPA through WellPregnancy with Julie Brill! 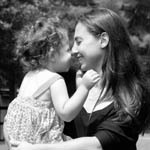 Arlington, Massachusetts After working in women’s health and well-being in varying fields over the years, I have found my path working with women and families in the childbearing year and beyond. As a doula and childbirth educator, I am able to bring the book knowledge I gained in my Master of Public Health program and the mentoring abilities I’ve learned in 20 years of teaching together to support women and families through direct care and teaching. Taking Julie Brill’s training to become a CAPPA Childbirth Educator was a major step in my ability to bring my skills and passions to more families in the Boston area. 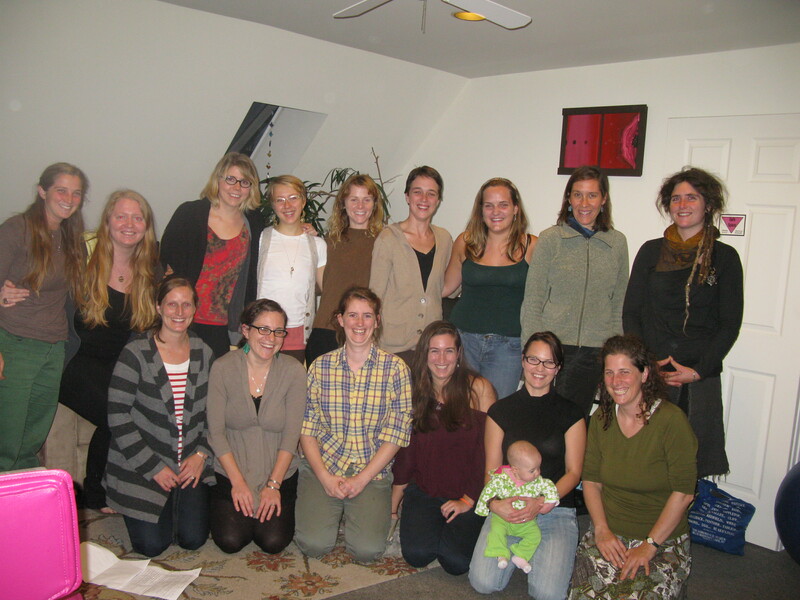 A few months after training with Julie, I landed my first Childbirth Educator position at Winchester Hospital, teaching a wide range of people how to approach childbirth from a position of normalcy, calm, and joy. That position and my work as a birth doula have led me to a second post as a Childbirth Educator at Mt. Auburn Hospital. Julie’s training placed tremendous emphasis on helping women and families understand not only the process of childbirth, but also their own position as critical decision-makers throughout pregnancy and birth. Helping women and couples understand their options and feel secure in making choices that are right for them is one of the most satisfying aspects of my work as both a doula and childbirth educator. Now working in partnership with another birth doula and childbirth educator called Doula Village, I’m able to attend births and maintain an active teaching schedule at numerous area hospitals and in private homes. It’s a wonderful combination of work doing a job I love. Julie’s mentorship goes beyond the workshop weekend and all of her students benefit from and appreciate her active engagement in the childbirth world and our individual success. As a CAPPA Certified Childbirth Educator, doula, massage therapist, yoga teacher, nurse, and mother, I was thoroughly impressed with Julie Brill’s CBE training. She was not only flexible in her approach to the logistics of the training but provided an informative, creative, and comprehensive weekend for me and my colleagues. This work has such an art as well as a science to it, always changing and consistently filled with controversy, hot topics, and varying opinions. I am honored to teach from the CAPPA viewpoint that “…women should be surrounded by caring, compassionate support throughout the perinatal period…” A large part of my wellness studio, GLOW, founded in 2009, is based on this very notion. I am so grateful for Julie and all the CAPPA professionals who commit so whole-heartedly to continuing education! I took Julie’s training when I was in my BS in Nursing program at the University of Vermont. It was an invaluable experience for me. A large part of nursing is client education, and I feel that Julie’s CAPPA training prepared me to confidently educate families about their childbirth options and what to expect in all stages of pregnancy and birth. The training was fun, relaxed, and incredibly educational. I left feeling excited, knowledgeable, and empowered to make my own decisions about childbirth and to teach others. I am a certified Lactation Counselor, certified Postpartum Doula, as well as a CAPPA Postpartum Doula Trainer. My business is Hip to Heart. I am a trained Labor Doula and Childbirth Educator (CAPPA), currently working on both certifications. I teach a very unique Childbirth Education class that is like taking three classes in one. My weekend workshop is a completely independent class which allows me to customize the curriculum to the specific needs and desires of the couples who attend. I was able to construct such a curriculum from the wonderfully thorough topics that Julie taught in her CBE training. The training was extremely informative and current. It gave me not only basis I needed to start my CBE career, but the confidence that the knowledge I had was all evidence-based and taught by someone who has been teaching childbirth classes and attending births for 20 years! Londonderry, New Hampshire I am a Webster Certified prenatal & family chiropractor, Reiki Master Teacher, CAPPA childbirth educator in training and the owner of Healing Hands Chiropractic Family Wellness Center in Londonderry, NH. Healing Hands is a full-service wellness center that offers prenatal & family chiropractic care, acupuncture & herbs, cognitive-behavioral therapy, reiki & aromatherapy, massage therapy, La Leche League breastfeeding support groups and pregnancy & birth classes. Being certified in the Webster Technique has allowed me to work closely with many other healthcare practitioners in my community such as midwives, obstetricians, nurses, doulas, childbirth educators, family physicians and naturopathic doctors. Taking the CBE training with Julie Brill in February was truly inspiring. It has allowed me to not only have even more valuable resources for my pregnant patients but for myself as well. I had the pleasure of taking Julie’s training while expecting my first child! My passion for learning and sharing about childbirth began as I prepared for the birth of my first child in 2009. I was greatly encouraged by many people along the way to see where it might take me, and I am now a Labor and Birth Doula, a Certified Lactation Counselor and a Childbirth Educator. It is an absolute joy for me to work with families during this amazing time in their lives and I am so grateful for the opportunity to do so. Training with Julie Brill for my CAPPA Childbirth Educator Certification really pulled the pieces together for me, and I can now offer each family I work with a more complete package of services in preparing for birth. I learned a lot from Julie’s training; she very quickly helped all of us to feel comfortable, and her passion is certainly contagious. She continues to be an encouragement and inspiration to me along my journey, and I would highly recommend her trainings. I currently have the privilege of working with my dear friend and fellow doula, Mary Whelan, in a doula partnership, Love’s Journey Doulas. Please visit our website at www.lovesjourneydoulas.com. Derry, New Hampshire I am a trained labor doula and a certified childbirth educator through CAPPA, and had the privilege of taking both of these trainings with Julie. Combined with my previous experience in health, wellness, and small business, training with Julie left me well equipped to begin a full-fledged doula business, and I founded Crossroads Birth Care. My interest in pregnancy and birth has been a lifelong passion, but the journey to birth work began in earnest with my first daughter’s birth in 2006. This experience opened my eyes to the fact that giving birth has the potential to be empowering and transformative for families. My approach to birth work is rooted in the idea that childbirth is not only a physical process, but an emotional journey and spiritual high point for many women. I have a BA in Liberal Studies in the Great Books from Saint Anselm College, and have practiced and taught yoga since 2002, studying primarily in the Iyengar and Anusara methods. I incorporate many yoga principles into my birth work. My doula services include yoga poses to ease pregnancy discomforts and promote a smoother birth, breathing methods to encourage relaxation, and mindfulness techniques to help mothers and their partners bond with their babies before and after birth. Before I decided to be a doula and to work toward becoming a homebirth midwife, I was excelling in a highly respected nursing program with plans to be a certified nurse-midwife. While this in no way qualifies me to offer medical advice, my experience as a student nurse means that I am comfortable in a hospital setting and that I can “speak the language” well. This enables me to translate for my clients, as needed, very effectively. I strive to promote positive interactions with doctors, midwives, and nurses, and am committed to helping foster an enjoyable working relationship between parents and all members of their healthcare team. I believe every woman deserves to birth in the environment where she feels the most comfortable, and am available to attend births in hospitals, birth centers, and homes. My particular areas of interest include natural (unmedicated) childbirth, VBAC, and teen pregnancy. My goal is to do everything within my scope of practice to help women and their families have the birth that is right for them. 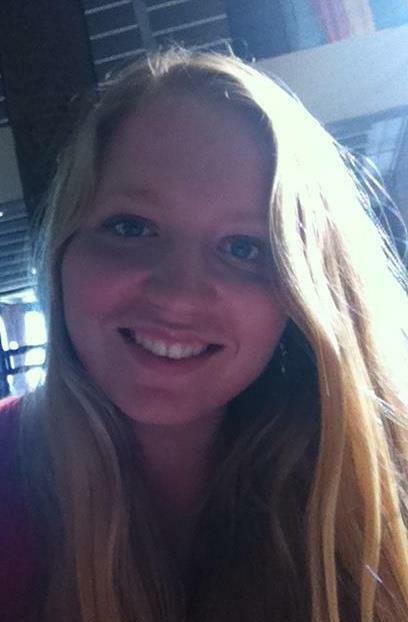 Burlington, Vermont I am an aspiring home birth midwife and a trained Labor Doula working towards my certification. 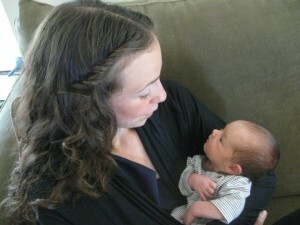 It was by chance that I came across Julie’s CAPPA Labor Doula training in November of 2011 and I am so happy that I did. Julie’s classes are extremely informative and she brings years of invaluable experience and wisdom into the classroom. Her dynamic teaching style fosters open communication with herself and other students in the class. I left the training feeling confident in what I had learned and inspired and enthusiastic about my future of being a doula. Since the training, Julie has been a great ally to connect with and is always helpful with questions or concerns one might have. 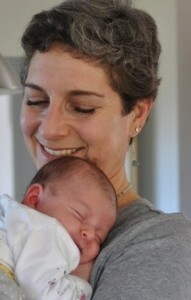 I am glad my first introduction into the birthing world was taught by Julie Brill and I highly recommend her classes!